Most home fires are preventable, but sometimes common sense isn't so common. According to the National Fire Protection Association, it's not too early to protect your loved ones and your home from fire damage, by simply following sensible suggestions. 1. Have your furnace checked. It's worth the money to hire a professional to inspect and service your furnace once a year. If it's going to conk out, it's better to know trouble is coming. 2. Have your chimneys and vents checked. 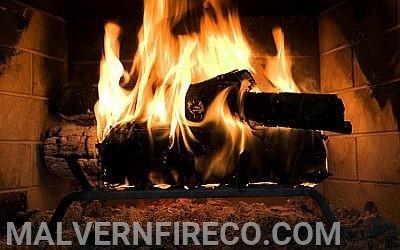 Fireplaces produce creosote which can ignite. If you light fires frequently, you need a chimney sweep service once a year. When you burn wood, make sure it's dry and seasoned so that it produces more flame and less smoke. 3. Test smoke alarms. Make sure batteries are fresh. Place smoke alarms in the kitchen, laundry room and in bedrooms. 4. Cover the fireplace with a screen. Tempered glass or a metal screen helps protect sparks from leaving the fireplace. Even so, make sure that children and pets sit at least three feet away when you light a fire in the fireplace. 5. Beware of lit candles. Candles can set the mood for relaxation, and that's how they get forgotten or knocked over by kids or pets. Light candles only when you're around to watch them and blow them out when you're ready to leave the room. Ditto for cigarettes, pipes, etc. If you're going to smoke, try to do it outside. 6. Beware of space heaters. The name should give you a clue -- space heaters need space. Like fireplaces, people and pets should not be allowed to sit any closer than three feet. Don't put space heaters near curtains, tablecloths or other fluttering fabrics. Make sure the space heaters you buy have automatic shut-offs before reaching dangerous temperatures. 7. Know how to put out kitchen fires quickly. Water doesn't help a grease fire, which can get out of control. Keep salt and baking soda on hand to sprinkle liberally on pan fires. Keep lids handy to put on top of pots and pans that get too hot. 8. Practice an escape route. Businesses have fire drills; your family should, too. Teach your family to crawl to the nearest exit from every room. Show them how to drop and roll if their clothes were ever to catch on fire. 9. Fire extinguishers can be life-savers. Store one under the kitchen sink, and in the hall closet near the bedrooms. Make sure you use the correct setting -- A for paper, wood and trash; B for grease and flammable liquids; C for small electrical fires. 10. All household members should know 911. You've heard the stories -- the four-year old who saved his grandmother's life with a 911 call. In a fire, every person in the home can be a potential hero if they know what to do.